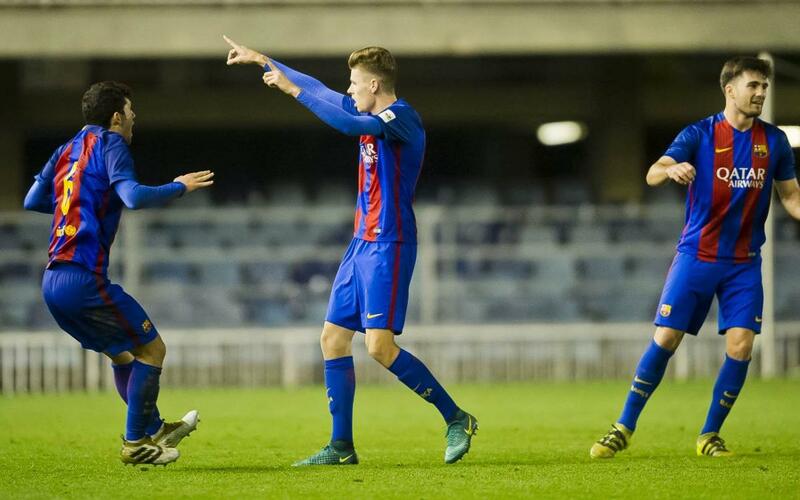 It was a week of good results and even better goals from FC Barcelona's youth teams. This top five goals of the last seven days come from the U17s, U19B and Barça B.
Adrián Bernabé and Konrad De la Fuente occupy three of the five spots with goals in the U17s' big win over Badalona (7-0). The other two places are for Sergio Gómez –during U19s' win over Damm- and Gerard Gumbau. The latter, after getting tips from the great Rivaldo earlier in the week, scored a belter of a free-kick to earn a draw against Alcoyano in the closing stages.. Enjoy the best five goals of the week in the exclusive video above!